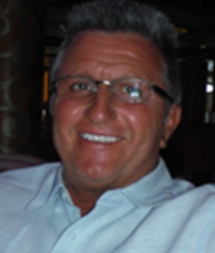 Gary comes to our project with over 20 years of experience in licensed merchandise sales & marketing having sold and promoted numerous premier name-brand product lines for companies such as Nike and Disney. He has marketed licensed and custom products for Disney, Warner Bros. NCAA, MLB and many others. He has also worked in the commercial, industrial oil and automotive markets. Gary’s exuberant personality, business connections, and superior sales skills have led him to the top in his industry. He is an invaluable asset to the Finney team.